We were inside Mai`s house together with Miyuki, Jess and Yasuo. And since yesterday, everywhere is like green. 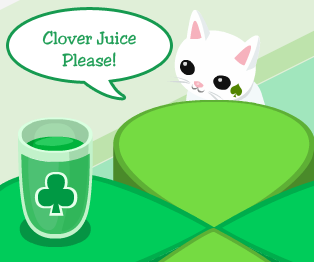 Many people likes the St. Patrick`s Day event. Well, I like it too as well. And look at my cat! She wants some clover juice too! XD Hahaha!